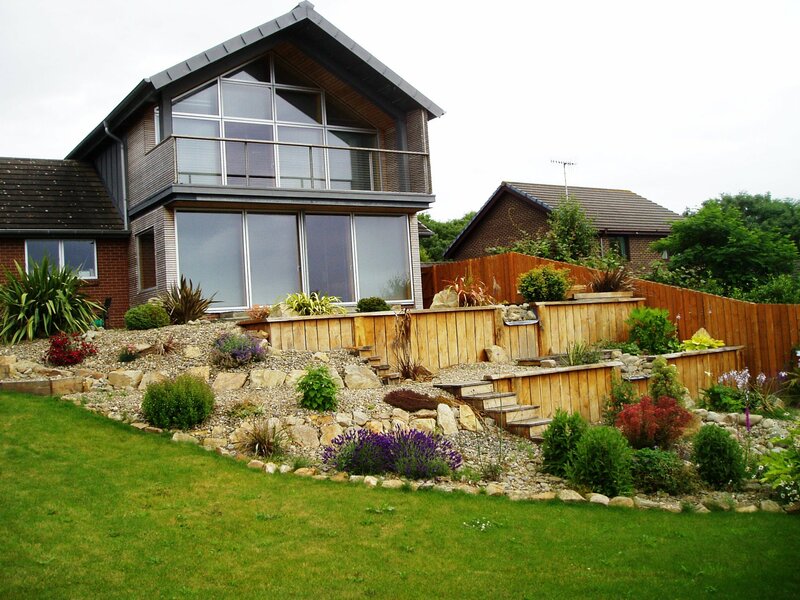 A striking feature provides a focus for a garden and gives it individuality and character. It can be a bridge, a treehouse, or a firepit, but it must be beautiful and it must serve a purpose. 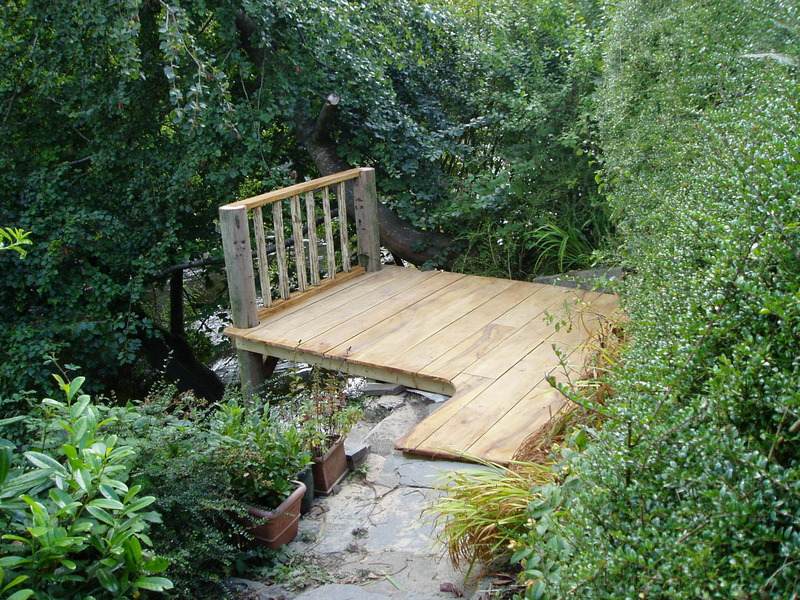 Each of our features are uniquely designed to suit the client and the garden. 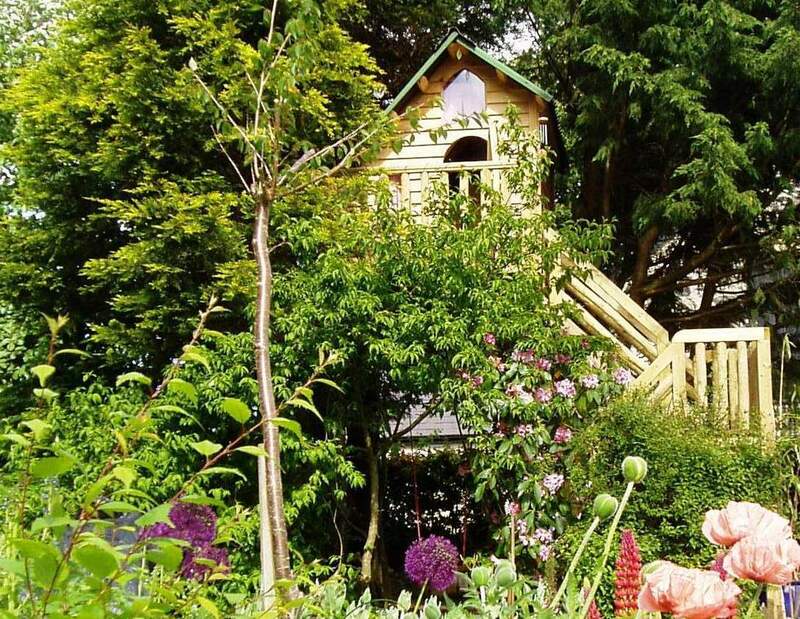 This treehouse features a hobbit-style circular door, two windows and a shingle roof. 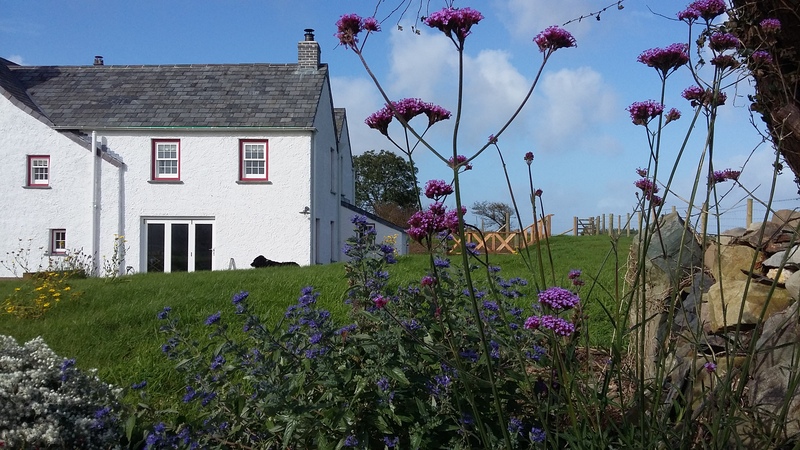 It is an intriguing focal point for this exuberantly planted garden, as well as being a great place to play. 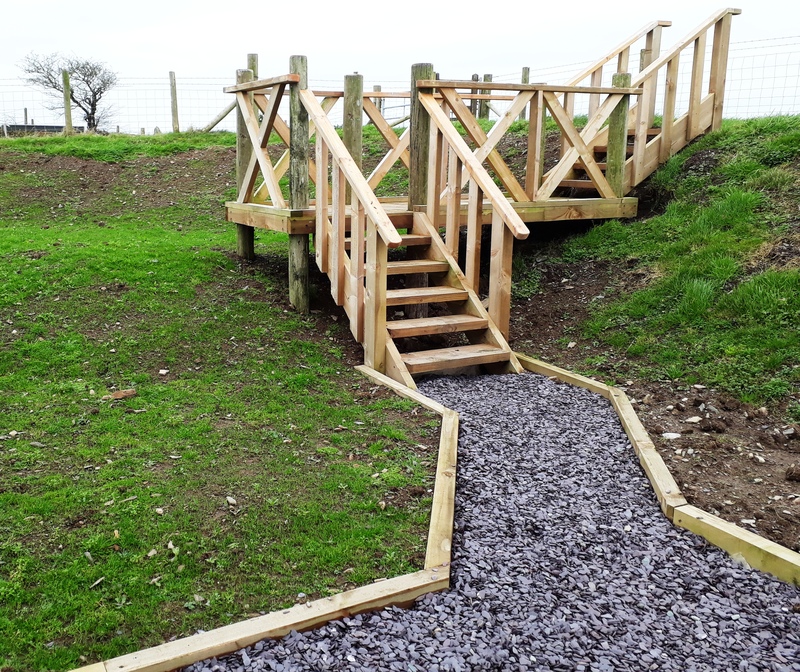 These larch steps provide an extra element of interest in this freshly-planted wildflower meadow. In the summer, the central platform will be the perfect place to view the colourful array of cornflowers, poppies, ox-eye daisies and vetch. This carved and painted arch was designed and built for a display garden for Robert Eynon and Son, a timber merchant in Beulah. 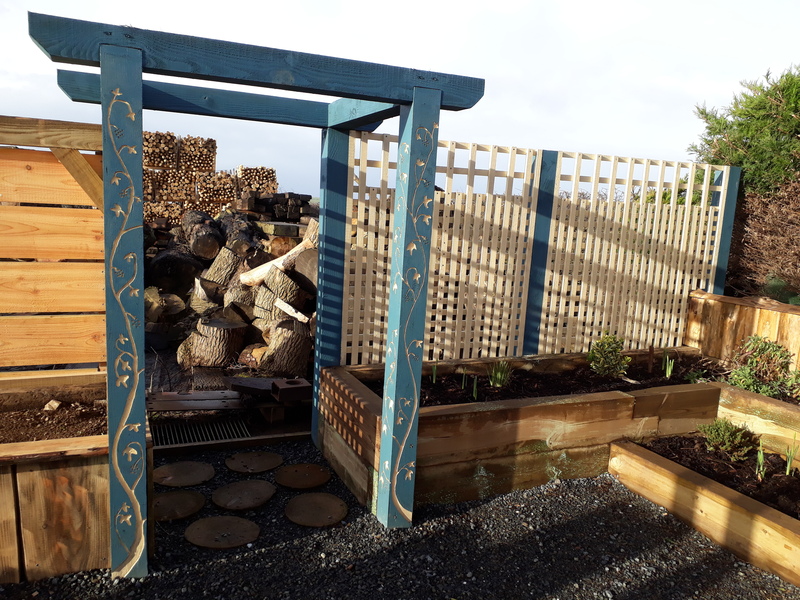 As well as the arch, the garden features larch fencing, cedar cladding and split-level larch raised beds, all made from material sold by the yard.